"Pariah [puh-rahy-uh] noun - 1. A person without status. 2. A rejected member of society. 3. An outcast." Writer/director Dee Rees' Pariah establishes its main character right from the start - the title itself seemingly a one word summation of her entire character. Adepero Oduye's Alike is no victim, however. She is a girl assured of her identity but adrift in a world that isn't ready to accept her, not as a black teenager as one might expect from a film like this, but as a lesbian. Unlike many coming of age dramas, Alike understands and accepts her sexuality. She isn't ashamed of who she is. She frequents gay bars, hits on pretty girls in the school hallway, and walks with a masculine swagger one would expect of a teenage male rather than a teenage girl. Alike is one of the first strong gay teenage characters who is completely comfortable with her own sexuality. And unlike characters in TV shows like Glee (as positive as they may be) that border on caricature, her sexuality does not define who she is. She knows who she is and she isn't afraid to express herself. Aasha Davis and Adepero Oduye in writer/director Dee Rees' PARIAH, a Focus Features release. The problem isn't with who she is, it's who her parents think she is, or rather who they want her to be. Alike's parents are both conservative Christians, but not conservative Christians in the typical Hollywood sense. Rees is far too smart for that. She deftly avoids the typical Bible-thumping, hellfire and brimstone cartoons that often populate such films and paints Alike's parents as living breathing human beings. The conflict springs not from their hatred of homosexuality, but out of genuine concern for their daughter. These aren't bigoted monsters, they're concerned parents who truly love their daughter, and worry about the path she has chosen more out of ignorance than hatred. It is a world they do not understand, and as such are not ready to accept. Alike's father, Arthur (Charles Parnell), a stern but affable policeman, treats his daughter's masculinity with an out-of-sight, out-of-mind mentality. He is denial personified. Her mother, Audrey, however, knows deep down that her daughter is different. It's clear from the way she is constantly trying to get her to wear more feminine clothes, its clear in her distrust of Alike's even more butch friend, Laura (Pernell Walker), and it's clear in the heartbreak behind her eyes every time she looks at her. As Alike's struggle to find love and come out to family that isn't ready to accept the truth threatens to tear her family down, a new, wiser, more confident person is born. Kim Wayans and Adepero Oduye in writer/director Dee Rees' PARIAH, a Focus Features release. It would be arrogant of me to suggest that my own homosexuality puts me in a better position to judge this film than some of the heterosexual critics who have found it problematic, but looking at Pariah from a gay perspective certainly reveals certain aspects that straight critics may overlook. I've been there. I've seen those looks in parents' eyes. I've felt that fear and trepidation at the prospect of emerging from the comfort of the dark closet into the blinding light of public view. And I think what Rees has created here is remarkable. It's one of the most moving and honest portrayals of a teenager's struggle to come out of the closet that I have ever seen. Rees pulls no punches, Pariah is a tough film filled with pain and heartache. But it's ultimately a redemptive and cathartic experience, even if Rees wisely refuses to tie her package up with a nice, neat little bow. When Alike looks at her mother with tears in her eyes and says "I love you Mom," only to be greeted with an aching, pregnant silence followed by "I'll be praying for you," we know we're on deeply personal ground here. 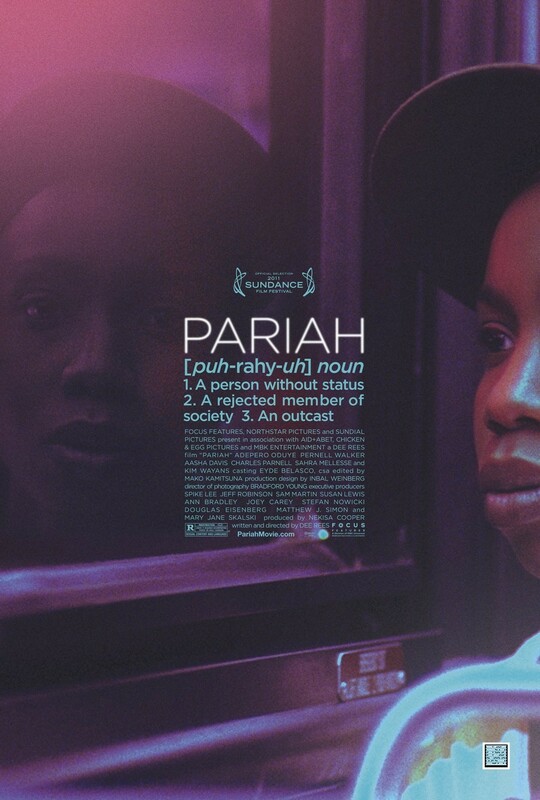 There is something vibrant and immediate about Pariah that is hard to shake. From the pulsing opening to the wrenching poetry reading at its finale, Pariah is never anything less than piercing and incisive. Rees and Oduye are both blazing new talents to watch. So assured is the film and so true is Oduye's performance that it's hard to believe that both director and actor aren't already established artists. This is one of the most raw and powerful depictions of budding teenage sexuality I've ever seen, told universal resonance and emotional appeal. It turns out that Alike is aptly named, because there is a little of her in all of us, and Rees imbues her with a haunting and memorable voice in a year when the suicides of gay teenagers all across the country left a scar on our collective hearts. "It gets better" you can hear her say. It's not easy, but in Pariah, one girl's coming out becomes the story of a generation who just want to love and be loved in return still fighting for acceptance. This is her story. This is our story. This is your story. 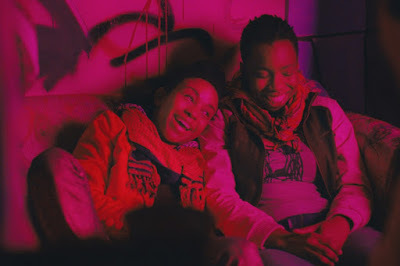 Straight, gay, or still undecided, Pariah gives voice to all those young people still trying to find themselves in a world that sometimes seems uncaring. 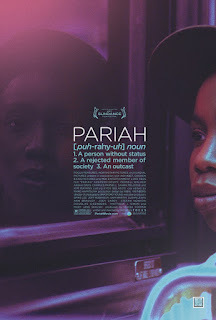 PARIAH | Directed by Dee Rees | Stars Adepero Oduye, Pernell Walker, Aasha Davis, Charles Parnell, Sahra Mellesse, Kim Wayans | Rated R for sexual content and language | Now playing in select cities.